Who holds the key to your heart? Your eyes! Heart disease is the leading cause of death for both men and women. 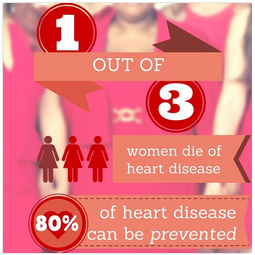 Yet 80% of heart disease and stroke events are preventable. A study conducted by Human Capital Management Services (HCMS) Group found that eye doctors detected signs of high blood pressure before any other healthcare provider 39% of the time. The study also found that eye doctors detected high cholesterol 62% of the time before a healthcare provider and diabetes 34% of the time. Early detection is critical and an eye exam may offer the first warning signs. The eyes are truly exceptional. They are the only place within the body that provides a view of the blood vessels without any incisions. Through an eye exam the eye doctor can view your blood vessels and identify signs and symptoms of disease progression before any physical symptoms develop. A long list of conditions can be identified through an eye exam and it includes heart disease. Do something good for your heart and your eyes and schedule your eye exam. To learn more about how you can improve your heart health visit the American Heart Association’s website. My Eyes are Itchy and Watery, What’s Going On?